Alex Manninger could make his first appearance of the pre-season when we play AC Milan on Saturday night (local time) / Sunday morning (UK time). After Loris Karius broke his hand in the game against Chelsea, Simon Mignolet has been once again promoted to be our number one keeper – at least until October. However – according to the Guardian – his fitness is lagging behind the rest of the first team squad after he was given an extended break following Belgium’s EURO 2016 exit against Wales in the quarter-finals. 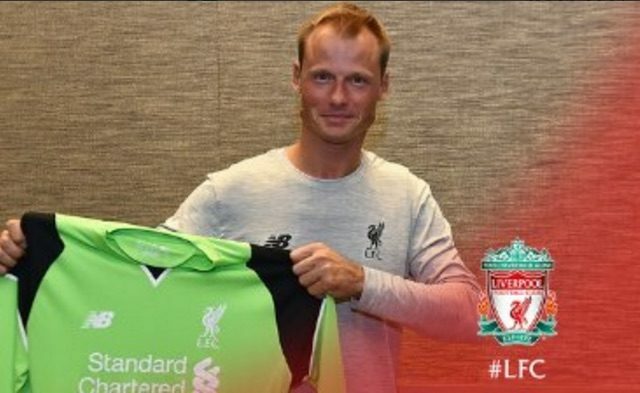 With Adam Bogdan and Danny Ward having been sent out on loan to Wigan and Huddersfield respectively, it seems like we might be left with no choice to but to field the veteran Austrian. Young keeper Shamal George is also with the squad in the USA. He made headlines a couple of weeks ago after playing half an hour up front against Huddersfield. It’s not out of the question that he could also be given 45 minutes in his natural position as a gesture of gratitude for that sacrifice. Does training ground picture suggest Manninger will play against Roma?